Thanks Adrian. 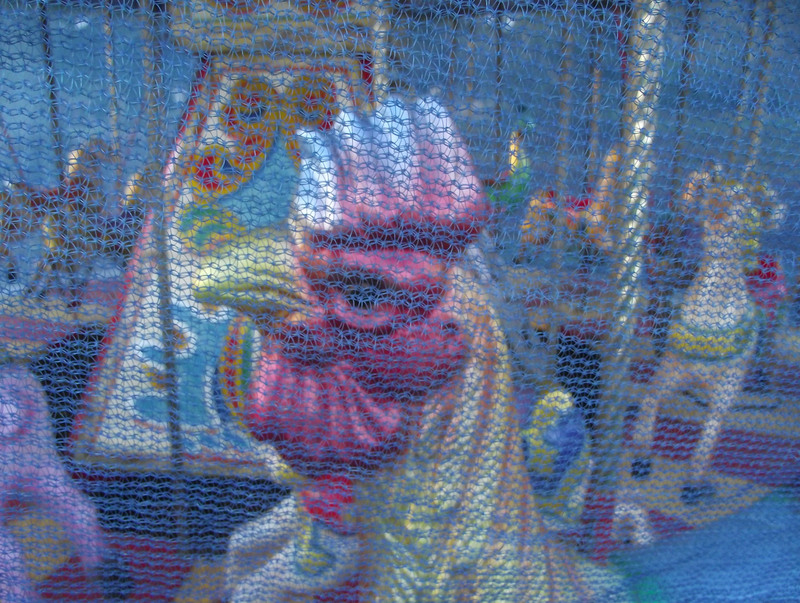 The carousel was out of use and covered with a kind of blue mesh / netting which provided an interesting filter for the shot. And I found the cockerel quite an intimidating figure.